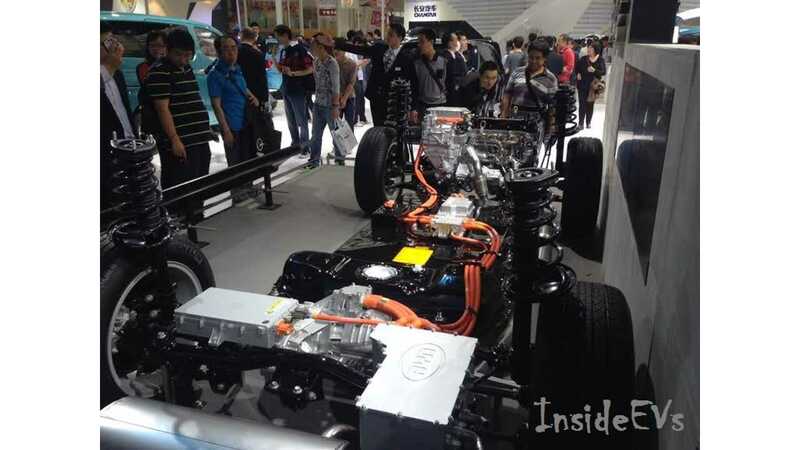 Finally, A Use For This Cutaway BYD Qin We Spotted Auto China 2014 In Beijing This Week! These reports led us to access the situation in China. It wasn't long ago when BYD was granted permission to sell its plug-in vehicles in Beijing and Shanghai. Since then, the automaker has reported phenomenal plug-in vehicle sales. Prior to being allowed to sell in those two key cities, BYD reported lackluster plug in sales. 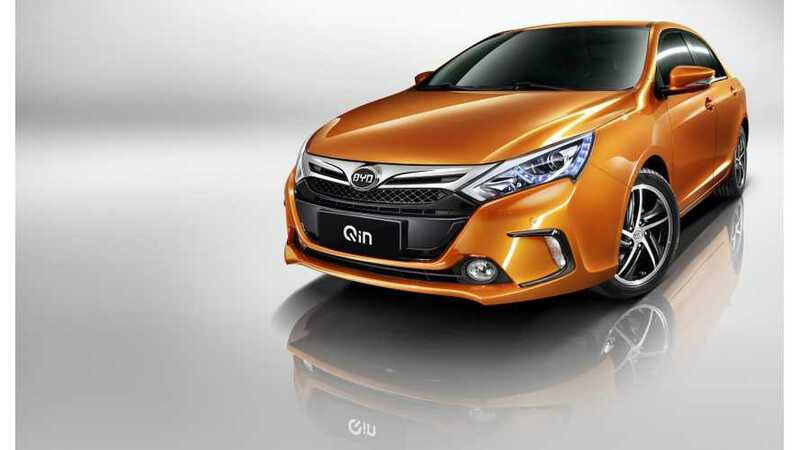 Now, it seems, BYD is knocking the lesser players out, as it records record EV sales. What's really going on in China these days? Well, it's a transformation at both the local and national level. China's government has made it clear that it targets 500,000 plug in vehicles on its roads by 2015 and 5 million by 2020, but local laws have made it next to impossible for some automakers to sell EVs. 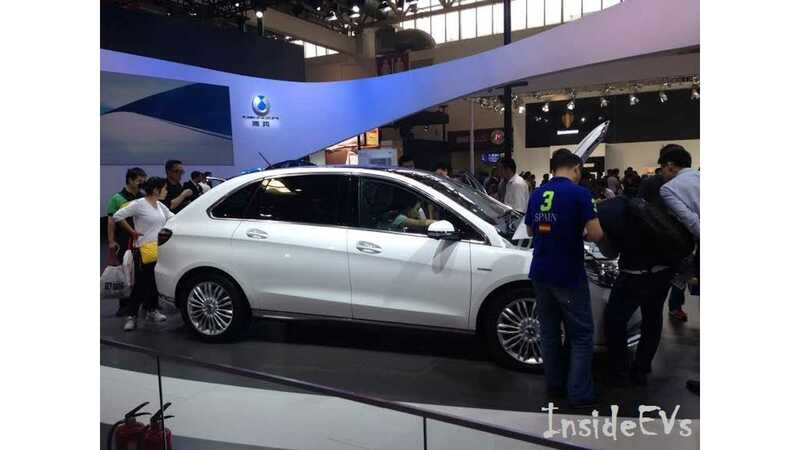 For example, Beijing just recently deemed the BYD e6 a roadworthy vehicle that could be sold in the city. Then there's Shanghai, where technicalities limit EV subsidies only to vehicles produced within city limits. Meanwhile, the city of Tianjin has no system in place to issue license plates for electric vehicle. On the flip side is the city of Shenzhen, home to BYD. Shenzhen has in place EV subsidies that only apply to vehicles with an electric range of 186 miles or more. Only the BYD e6 qualifies for this subsidy, meaning the competition is at an immediate disadvantage if it tries to sell there. Until recently, it had been next to impossible for BYD to sell its capable plug in vehicles. Now, changes have been made and more changes are in the processing stage. This has opened the door for BYD (and others, including SAIC and JAC) to actually sell plug-in vehicles where the demand is: in China's major cities. Furthermore, it seems that most of the larger cities are now realizing it's time to open their doors to all EV manufacturers, not just locals. How crazy is all of that? Fortunately, change is underway, which leads us to believe that finally the electric vehicle sales floodgates are opening in China. Once the tide rushes in, there's no stopping the flood waters. Look for China to soon lead the world in plug-in vehicle sales. As I stated, change is underway. The US will not be able to maintain its #1 EV sales spot for long. China is finally joining the EV bandwagon!! !